Get ready for everything to be awesome. Again. The LEGO Movie 2 was announced very shortly after the first movie was released, since it was a huge success. Even though there have been a couple of delays, the sequel is finally getting underway and is finally about to start filming. According to a new report, The LEGO Movie 2, officially titled The LEGO Movie Sequel, is set to start filming next month in Canada so that it can be ready to arrive in theaters on February 8, 2019. 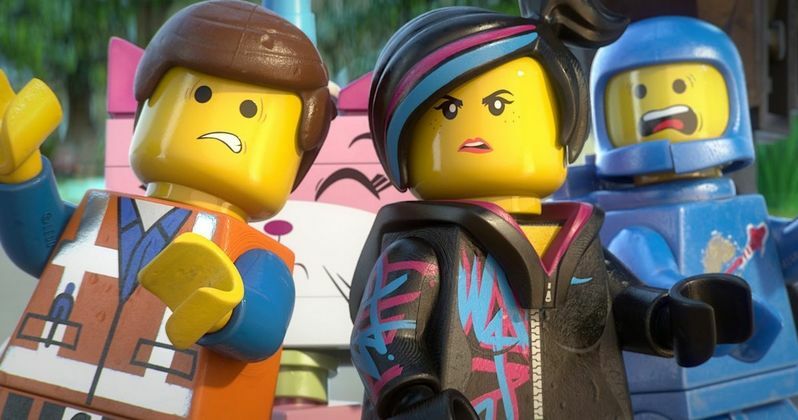 My Entertainment World revealed that The Lego Movie Sequel will be filming in British Columbia, Canada starting on October 2. The movie is going to be without directors Phil Lord and Chris Miller. They initially couldn't sign on to do the sequel because of their commitments to the young Han Solo movie, which they were fired from recently. Instead, it will be Trolls director Mike Mitchell at the helm, who has also proved that he can turn a toy into a very successful movie franchise. The LEGO Movie was a massive hit at the box office, bringing in $469 million worldwide from just a $60 million budget. Perhaps just as important, if not more important, the movie was really embraced by critics, boasting a very impressive 96 percent approval rating from critics on Rotten Tomatoes. It also has a very solid 87 percent audience rating. With that, expectations for The LEGO Movie Sequel are going to be very high. Warner Bros. doubled down on LEGO Movie spin-offs following the success of the first movie, trying to make a LEGO cinematic universe of sorts. That kicked off this year with The LEGO Batman Movie, which was also a huge critical success, but not quite as successful as the box office, bringing in $311.7 million. Next up is The LEGO Ninjago Movie, which is set to hit theaters on September 22. That movie doesn't quite have the benefit of having Batman in the title and it is going up directly against Kingsman: The Golden Circle, but is still poised to be a success. Since The LEGO Movie Sequel got delayed until 2019, it is going to be a year and a half between LEGO Movie installments after The LEGO Ninjago Movie arrives. Little has been officially revealed about The LEGO Movie Sequel, but Phil Lord and Chris Miller wrote a draft of the script, with Raphael Bob-Waksberg (BoJack Horseman) doing a rewrite. No cast for the movie has been officially confirmed, but Chris Pratt and most of the other principal cast from the first movie are expected to return. With The LEGO Movie 2 finally filming soon, we should be hearing some concrete plot details in the relatively near future. Now the real question: Will Tegan and Sara come back to do another song as great as Everything is Awesome? One can only hope.